A graceful dove takes this simple sterling silver band from boring to brilliant in a flash. The sterling silver dove makes a beautiful centerpiece alone, but Apples of Gold takes beauty to the next level with a 4mm white topaz gemstone to crown the piece. 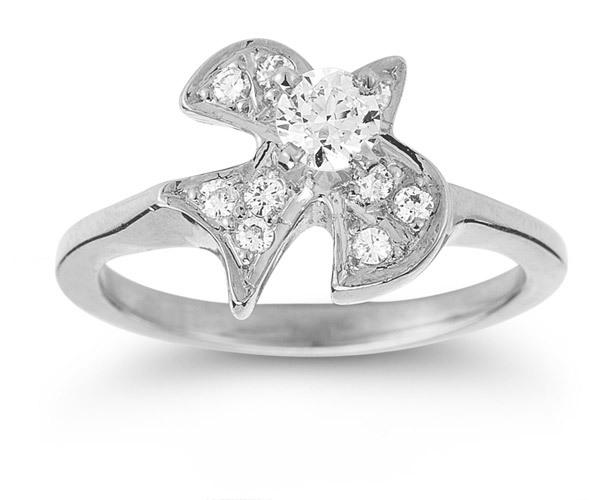 White topaz gems also appear over the dove as accent stones, continuing the brilliance of this ring. A clean white band of sterling silver finishes this piece with an elegant shine. We guarantee our Christian Dove White Topaz Ring in Sterling Silver to be high quality, authentic jewelry, as described above.